This sturdy little skinning knife is made in Spain by Joker and is called an Erizo which means Hedgehog in Spanish. The blade is made from top quality Spanish Mova Steel containing Molybdenum and Vanadium to enhance the edge retention. The full tang blade is 7.5cm long and ground with a hollow grind and a secondary bevel. 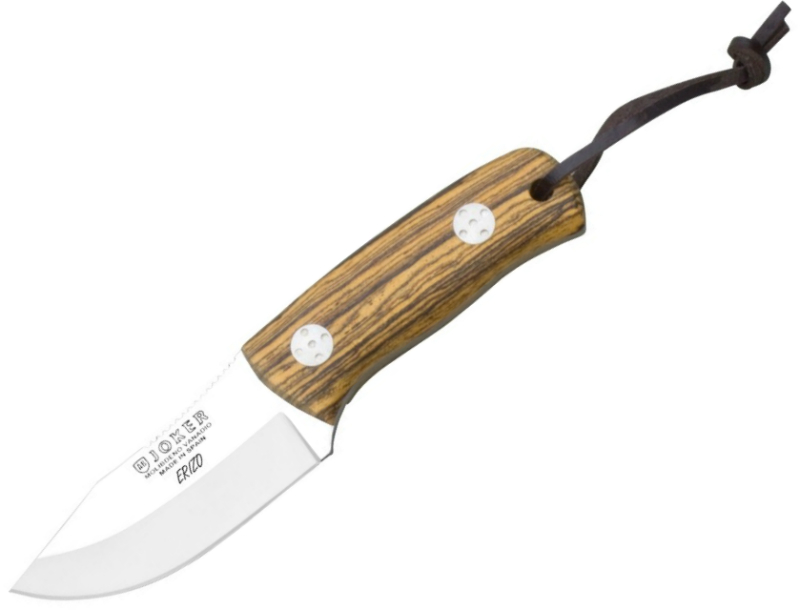 The handle has a leather lanyard and come supplied with a welted leather sheath.